Functional Programming and Ruby - Super Computer. Functional Programming (“FP”) wasn’t on my radar until I started hacking at The Flatiron School two weeks ago (and by hacking I mean as in a hacking cough :). Say, what is functional programming anyway? Check out this screenshot of an old-school email from Matz. Why aren’t we calling Ruby “MatzLisp”?! Ruby and Haskell can resemble each other, but only on the surface. 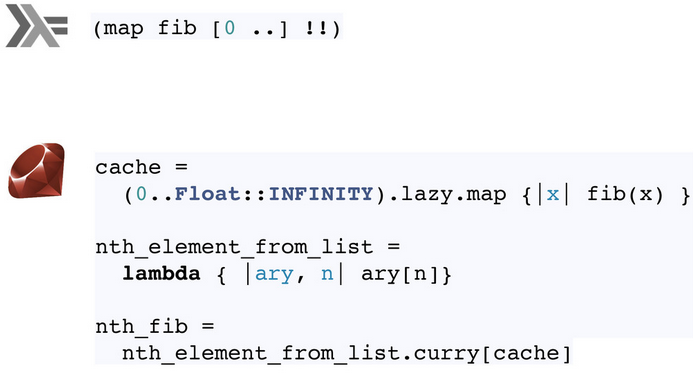 Under the hood, Ruby’s support of functional features is limited. Learning a truly functional programming language won’t be trivial. ======= You probably read the deck, but if you didn’t, here are a few takeaways from it. But I’m still confused :–/ ? 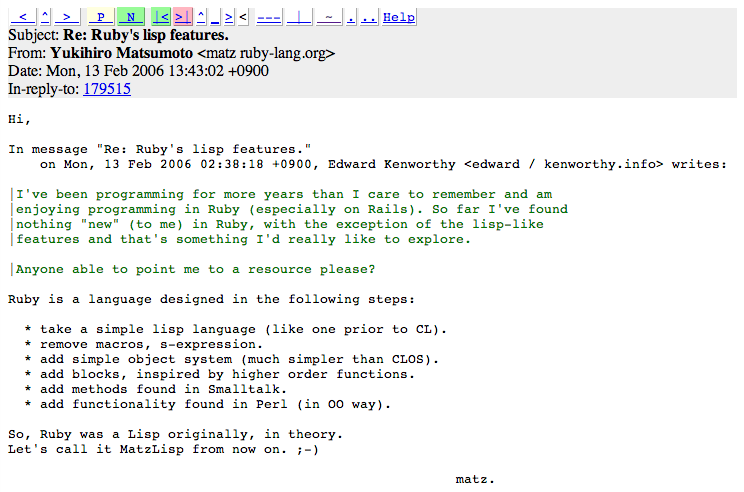 One of the coolest factoids is a screenshot of an old-school email from Matz to another developer explaining that Ruby might best be thought of MatzLisp.